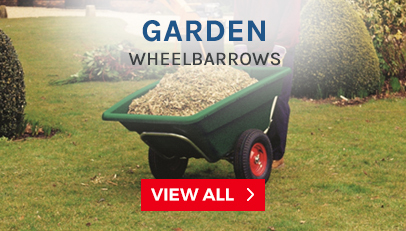 We offer a huge range of wheelbarrows and garden carts. 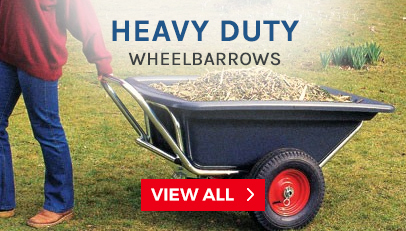 Our extensive range will ensure that whatever your requirement you will find a barrow that suite your needs. Do you need to move dirt, rocks or other materials around your garden, stable or construction site? Our product range allows you to move a larger amount of weight through the use of a wheelbarrow or garden cart than usually physically possible. Our simple designs and variety of colours mean we have a barrow for everyone. We also have wheelbarrows suitable for all uses and locations – in the garden, on the construction site, at the stable, on the farm etc. 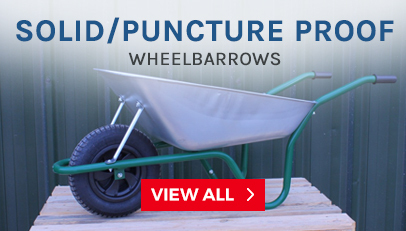 Our wheelbarrow range includes solid wheels which will remove the risk of punctures and many with pneumatic wheels which are ideal for rougher terrain. In addition to this we also have a wide range of Sack Trucks available including; Pneumatic or Solid Wheel Trucks, Stair Climbers, Box Trolleys and Carts. We also offer a comprehensive range of spares and accessories. We have a team of dedicated experts to help you with any questions you may have about any wheelbarrow, garden cart or sack truck that you are interested in. We are constantly reviewing and growing our range of wheelbarrows, garden carts and sack trucks so that we can offer the best products available at affordable prices. Service could not have been better. Dispatch and delivery were extremely fast and the wheelbarrow is of great quality. Will be sure to recommend you to all friends and family! Bought the Easiload Galvanised Wheelbarrow for my company and could not be more pleased with it. Quality is fantastic, delivery was fast and customer service were extremley heplful. Thanks! A really good Wheelbarrow, exactly as described. I used it to shift over a ton of molehill topsoil, filling the barrow to maximum capacity on each run. There was no flexing, bending or 'wobbliness'. Excellent! 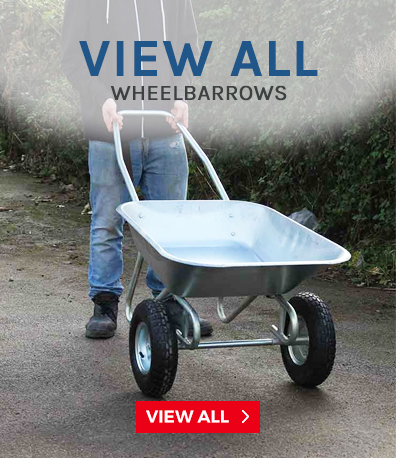 Our extensive range includes a selection of the most sought after wheelbarrows throughout the UK. 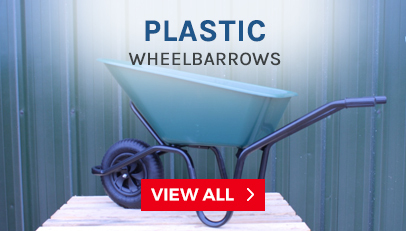 Our plastic barrow range is a robust versatile option which is extremely tough and available in a variety of bright colours that make a statement. 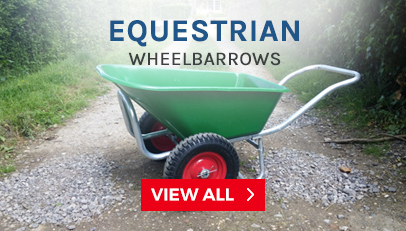 They are ideal for equestrian and garden use and are considerably lighter than metal barrows but are a capable of carrying bulkier loads due to its slight flexibility. The plastic tub, available in between 90 and 100 litres, are accompanied by a galvanised frame and because of their colour variety are extremely popular with home owners. In addition, the plastic pan will not be affected by animal waste toxins which make it a popular option for users with animals or pets. 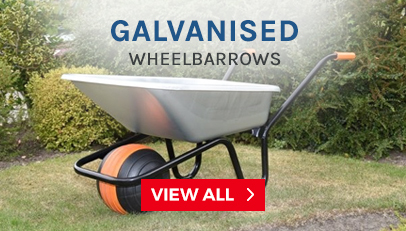 If you need a more heavy duty solution than a plastic wheelbarrow, then we also have an extensive range of galvanised wheeled barrows to suit a wide range of environments. Our galvanised selections are rust resistant so you can store them outside without the chance of its condition deteriorating and are the ideal solutions for transporting bricks and soil with ease to help save the user valuable time. 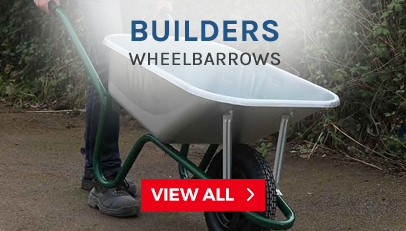 Wheelbarrows UK are known for being the number 1 in the UK for garden equipment, we offer free delivery on any order and also offer next day delivery on any wheelbarrow, garden cart or sack truck. For Trade enquiries please contact our Sales team on 0117 330 2277. If you are a cautious gardener and want to be prepared for Punctures to your wheel, we also have out Accessories and Spares & Sack Truck Accessories so you can have parts on standby for such events.